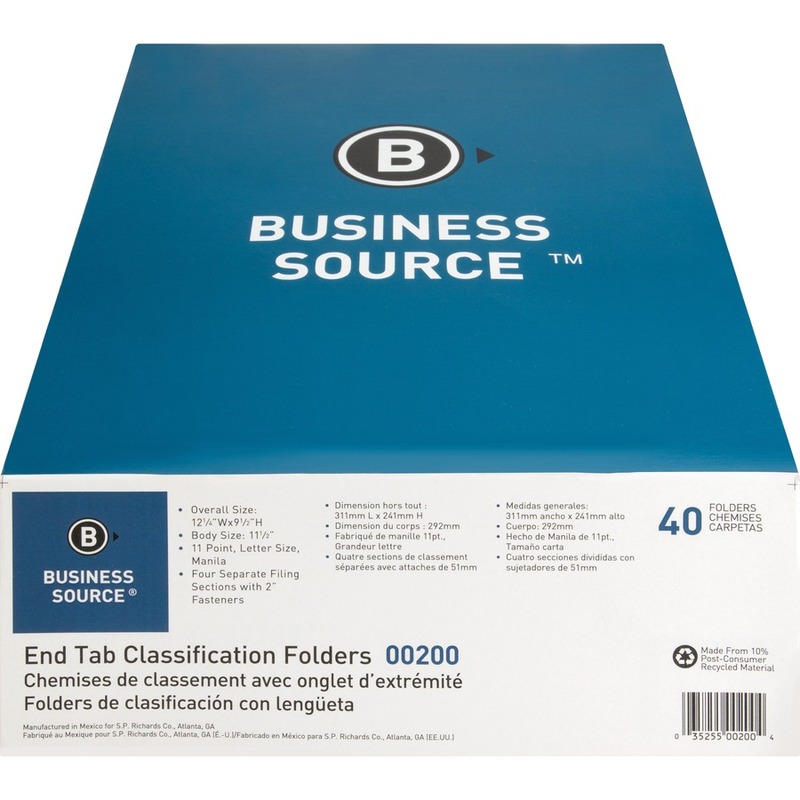 Classification folders with end tabs are an excellent solution to subdivide papers and make it easy to keep paperwork in sequential order for frequent reference. 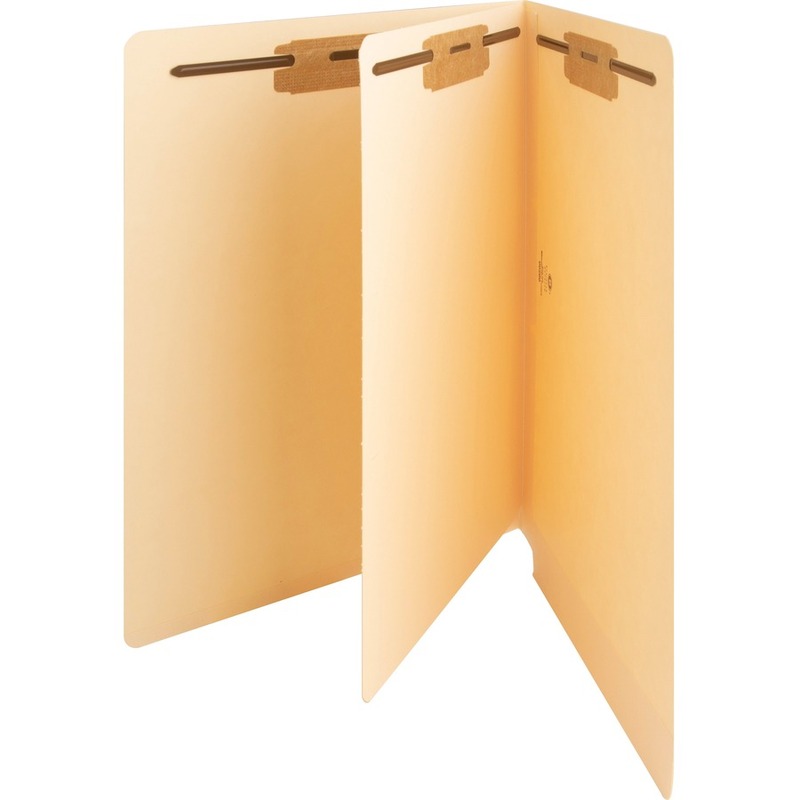 The addition of a pre-installed divider with 2" fasteners in positions 1 and 3 lets you store information under four separate filing surfaces. 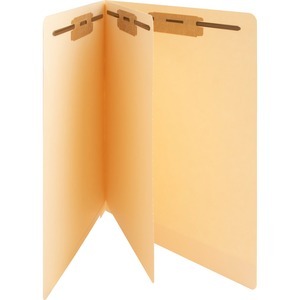 Folders are also scored for 3/4" expansion and made of durable 11 point manila stock.